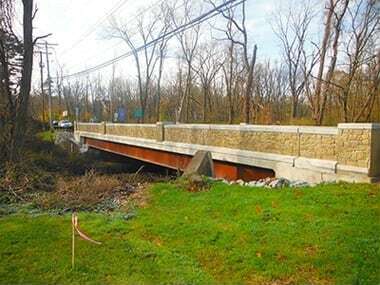 Parsippany, N.J. AmerCom Corporation received the 2013 Grand Honor Award for their innovative bridge design that was built in seven days. The New Jersey Chapter of the American Council of Engineering Companies bestowed its highest honor to AmerCom for their U.S. Route 202 Bridge Replacement Project during the annual Engineering Excellence Awards competition beating out 25 other Civil Engineering projects throughout the State of New Jersey. The award was formally presented to Mark Sheptock, Vice President of AmerCom at the Awards Banquet held at the Forsgate Country Club in Cranbury, NJ on March 13th. AmerCom’s unique design to completely replace this bridge in seven days utilized innovative Accelerated Bridge Construction (ABC) techniques and is the first of its kind in the state completed by the NJDOT. 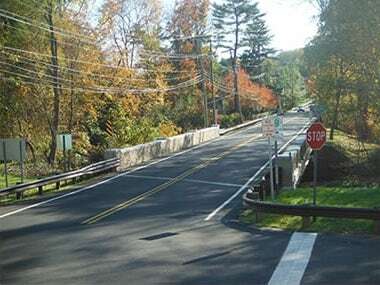 U.S. Route 202 is a vital corridor used by 10,000 cars and trucks everyday between Harding T ownship in Morris County and Bernards Township in Somerset County. The numerous businesses near the bridge and the extensive detour route would create an undue burden on the public if traditional construction techniques had been used. Precast components were specifically designed by AmerCom for this project that would assemble similar to a Lego set. The bridge parapets were constructed with architecturally treated prefabricated panels to resemble the natural stone construction in the nearby Jockey Hollow National Historic Park where General George Washington and the Continental army camped during the winter of 1779/1780. Joseph M. Sanzari, Inc. was the contractor that completed the construction of this $2.6 Million project on time and under budget. AmerCom formed a strong partnership with Sanzari and NJDOT to make this project happen.